Opening on 9 March 2019, ShanghART Beijing is delighted to present Zhao Yang's solo exhibition “Roma Is a Lake”. 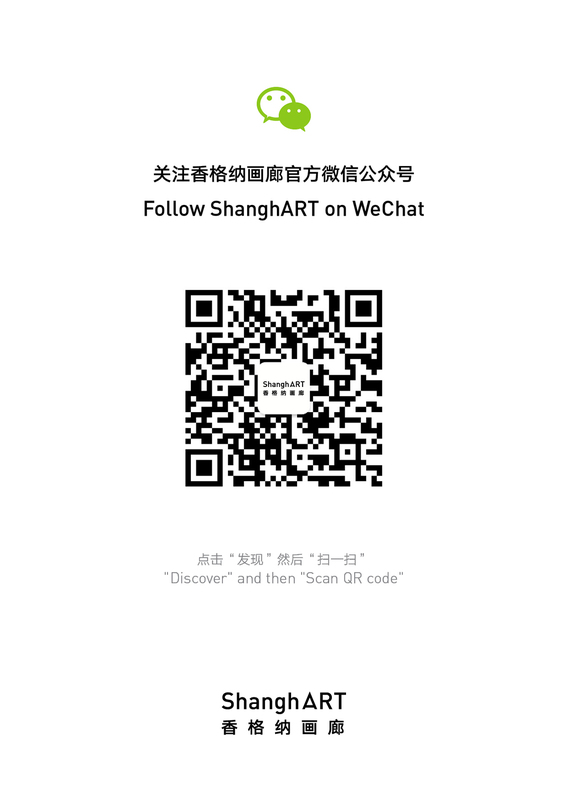 This is Zhao’s first solo show at the Beijing space and his second with ShanghART Gallery, featuring the artist’s latest works after a series of presentations at art museums. “Collapse" is the word Zhao uses most frequently to describe his own paintings, which always hide, cover and even destroy narratives in the fog of contradiction. On the canvas there is no construction but a process from nothing to something, and then back to nothing again. Nevertheless the "nothing" here is not absolute; rather it represents the deeper vagueness that Zhao is trying to find. Though made of Western pigments, Zhao Yang's work is significantly influenced by his academic background in Chinese painting - he applies what he has learned from the system of traditional ink painting to different materials and spaces. From Zhao’s perspective, the uncontrollable nature, which the flow of ink in water has, is central to Chinese painting. When making art he feels more like a performer improvising a solo. He observes changes of the picture, looking for possible clues in between. Just like the artist statement below, Zhao’s practice slowly begins to appear when he follows the clues and dispels all the clouds. “North of downtown Beijing, across the Roma roundabout, there are two puddles we refer to as Roma Lake. We do not call it 'the lake in Roma', because the lake is in fact sandwiched between two villages, Luogezhuang and Matouzhuang. 'Luoma' for short sounds similar to 'Roma', and thus it becomes a lake that gives way to a sense of melancholy and ridiculousness, a lake that is full of misreading and romance. I spent two years living beside the Lake. It was sometimes conceived as a frozen mass lying under the hazy sky. The sun would occasionally loom but never fully appeared. Two or three men could be seen prowling in its vicinity, who would at times throw stones on the ice, or let off a loud growl. Sometimes I was followed by pudgy dogs, but most of the time I had the lake to myself, which I enjoyed by walking around. When I got tired, I would sit on a lonely rock gazing into the darkness. At night, were it not for a ray of light emanating from the street lamps all would have gone dark, for not even the twinkle of distant stars could pierce the overcast sky. On one such night, I observed a stranger on ice skates dancing in circles, silently and absorbedly, freely and ecstatically. The reflection of this image under the street lamp was especially dazzling, giving off a bright flash. A little later, more people would join in, the two of them would glide together, with angry shouts echoing onto the bank: Resistance and rebellion are ineffective, only starting all over again! It’s getting darker. I picked up sounds of flowing water, gurgling and disturbing. The air was thick with many a somnambulant, jabbering their half riddles, a man full of slips of the tongue, and a few alcoholics, all mumbling their nonsense in the lingering mystery around, from entanglement to deviation, like a collapse of implied dangers in chess. There were philosophers, poets, and two apes who were too small for me to make out their faces, all wrestling with one and another. Zhao Yang was born in Jilin, China in 1970. He graduated from the China Academy of Art in 1995 and currently lives and works in Beijing. His paintings wander among reality, Eastern and Western fairy tales, as well as fables, transform them into metaphors and symbols, and finally present the hybrid images to the audience. Major exhibitions include: Zhao Yang: Roma Is a Lake, ShanghART Beijing (2019); New Art History: 2000-2018 Chinese Contemporary Art, MOCA Yinchuan, Yinchuan (2019); Zhao Yang: ALAYA, chi K11 Art Museum, Shanghai (2018); Zhao Yang: In Between, Kuandu Museum of Fine Arts, TNUA, Taipei (2016); 'Zao' by ZHAO Yang, ShanghART Gallery, Shanghai (2016); China 8, Contemporary Art from China at the Rhine and Ruhr, Lehmbruck Museum, Duisburg, Germany (2015); Une histoire: art, architecture, design des années 1980 à nos jours, Collections contemporaines, Centre Pompidou, Paris, France (2015); Lost Portrait, Long Museum, Shanghai (2014), etc.